The Yu-Gi-Oh! 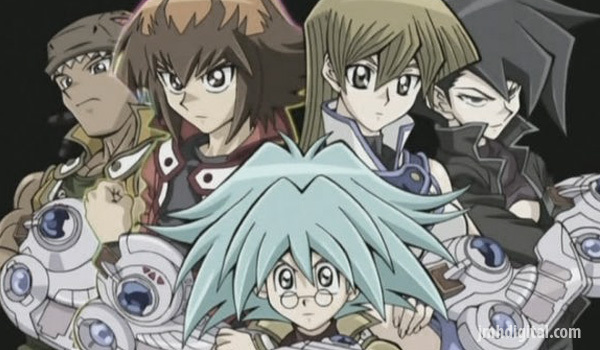 anime series originated from the Yu-Gi-Oh! manga series created by Kazuki Takahashi. The Japanese collectible trading card game, developed and distributed by Konami Digital Entertainment Co., Ltd., has sold more than 25 billion cards. 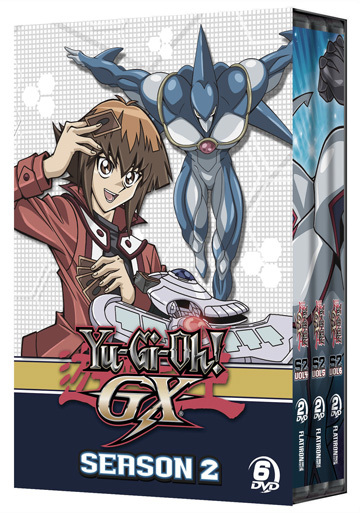 The game and television series feature a strategic play that incorporates a combination of monsters, spells and traps to defeat opponents, and is acknowledged by the Guinness World Records™ as the best-selling trading card game of all time. 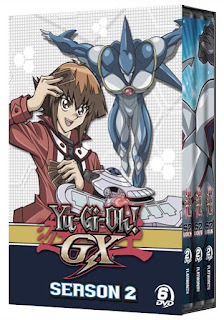 A long-running success on TV throughout the world, Yu-Gi-Oh! has aired domestically and internationally in more than 65 countries over the past 14 years. It’s year two at Duel Academy, and this semester is more intense than ever! Jaden somehow passed his finals, so he’s now back with his friends to continue his training at the world’s most prestigious dueling school! But it’s not all about classes and textbooks. This year is filled with one high-stakes battle after another as Jaden faces all new rivals like Pro League All-Star Aster Phoenix, dino duelist Tyranno Hassleberry and the sinister Sartorius! Featuring the voices of Matthew Charles (Totally Spies!, The Proud Family Movie, Winx Club, Yu-Gi-Oh! Bonds Beyond Time) and Wayne Grayson (The Octonauts, Pokémon, Yu-Gi-Oh! Bonds Beyond Time, Teenage Mutant Ninja Turtles). Directed by Hatsuki Tsuji.